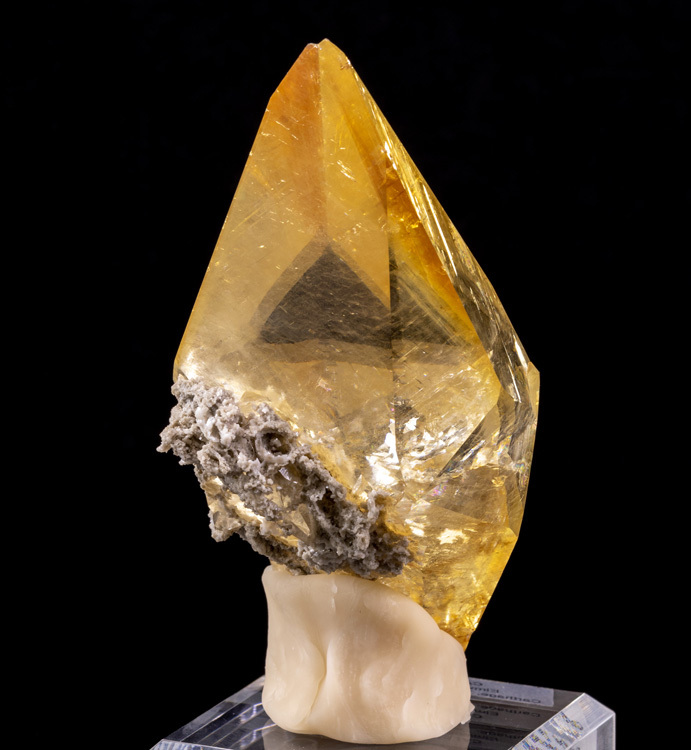 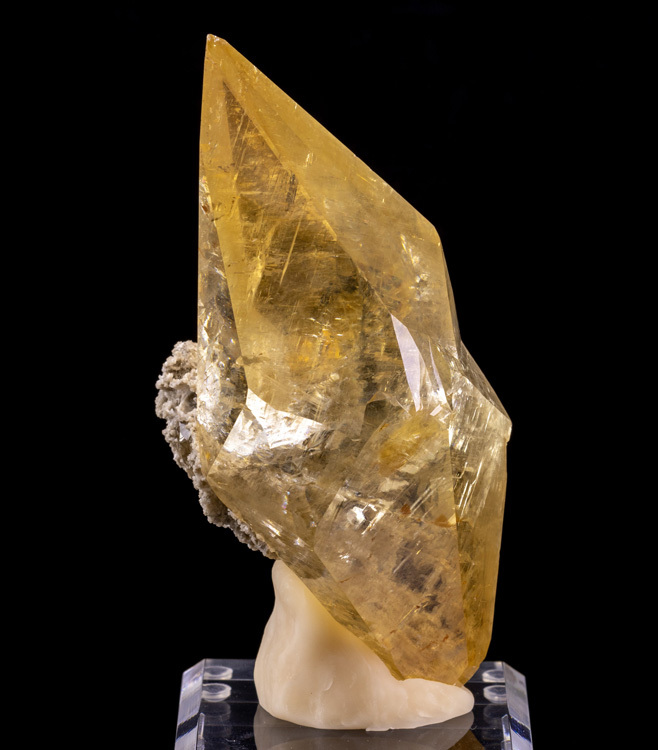 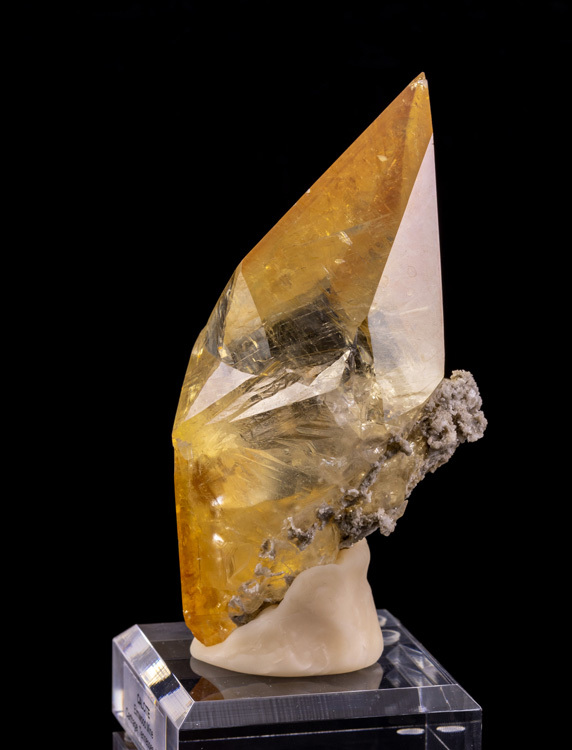 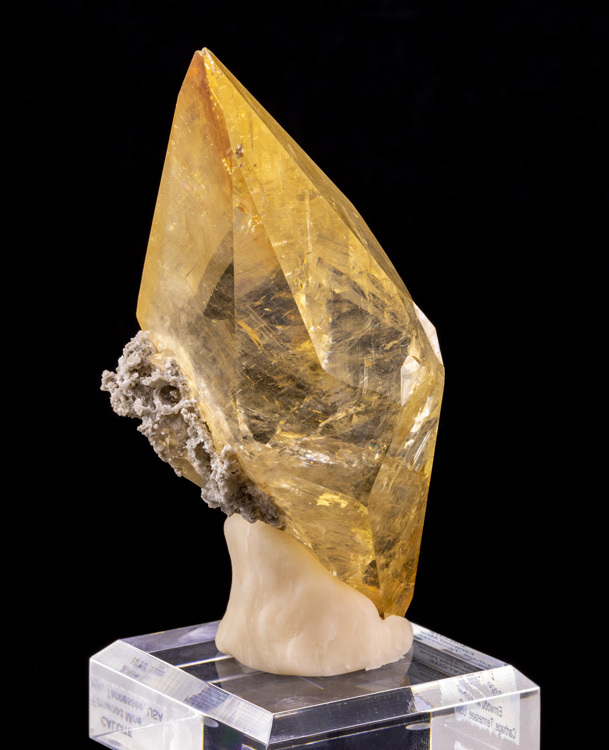 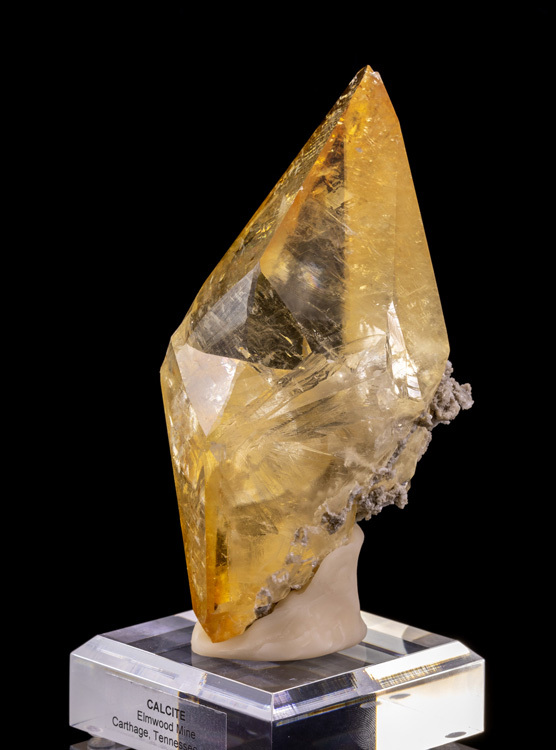 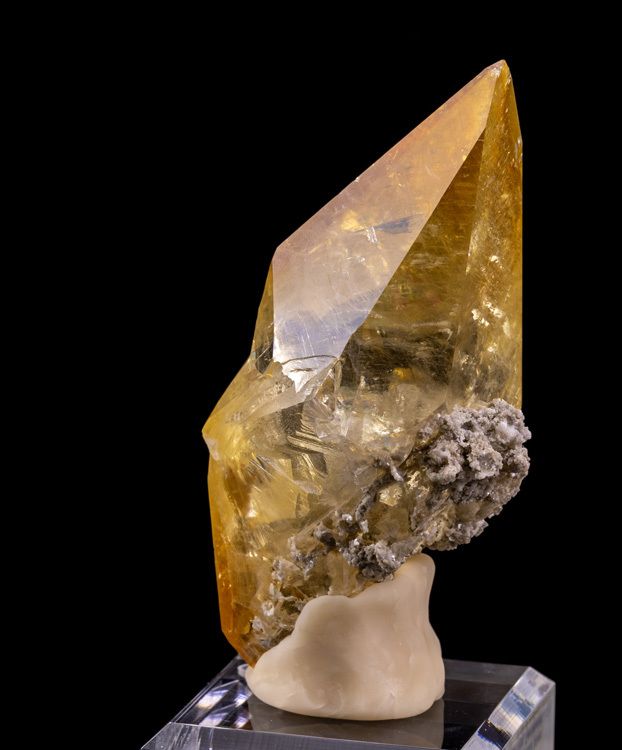 This large, gemmy, orange, twinned calcite from the Elmwood Mine is a very attractive specimen! 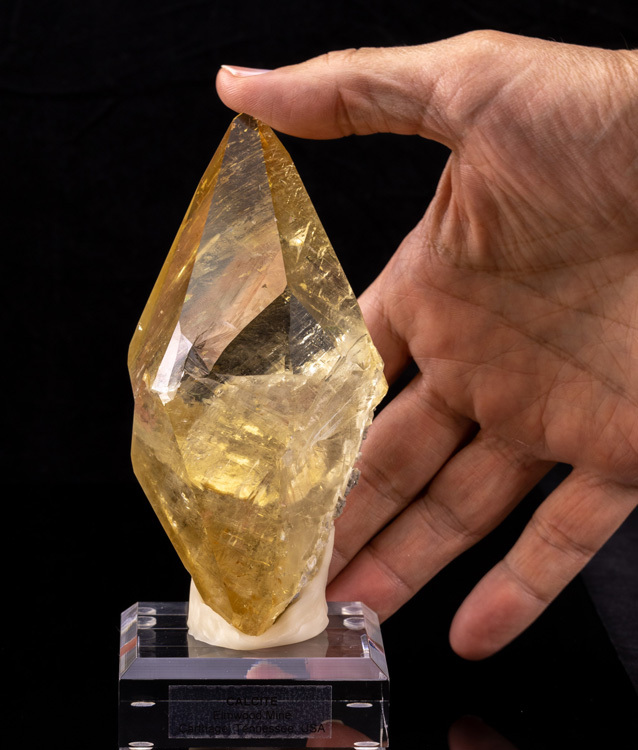 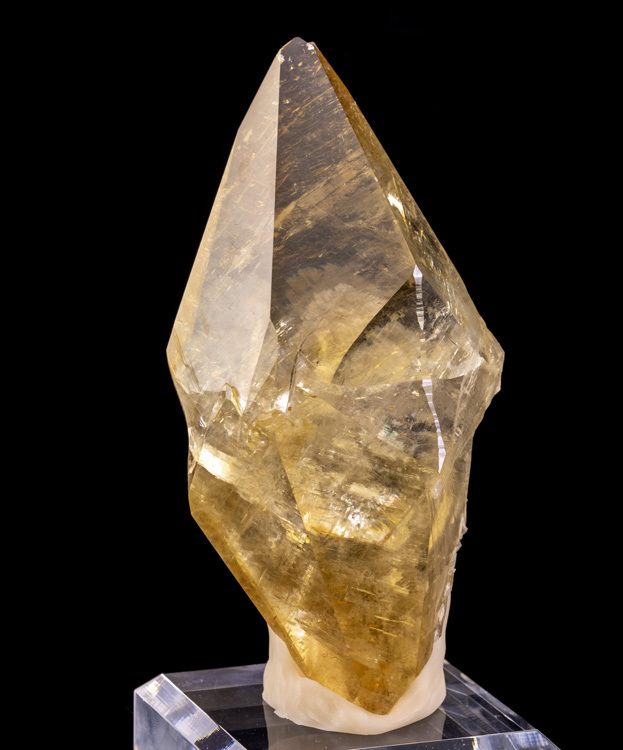 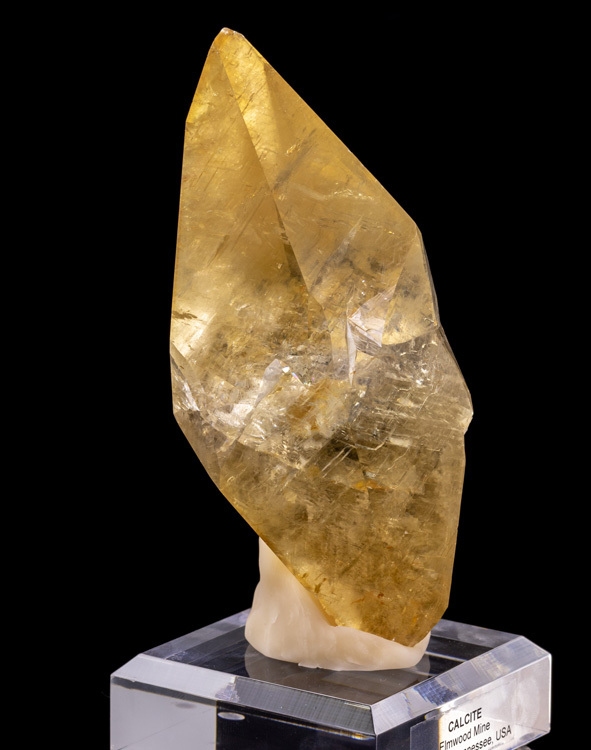 The crystal is clear as glass, and has a yellow-orange color with some areas of slightly darker orange inside of it. 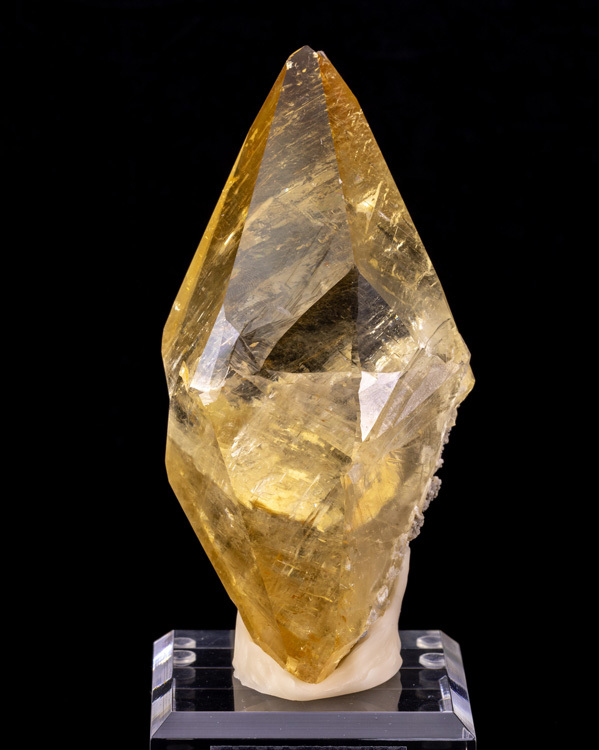 The terminations on both ends are clean and pointy, and the luster is extremely shiny and smooth. 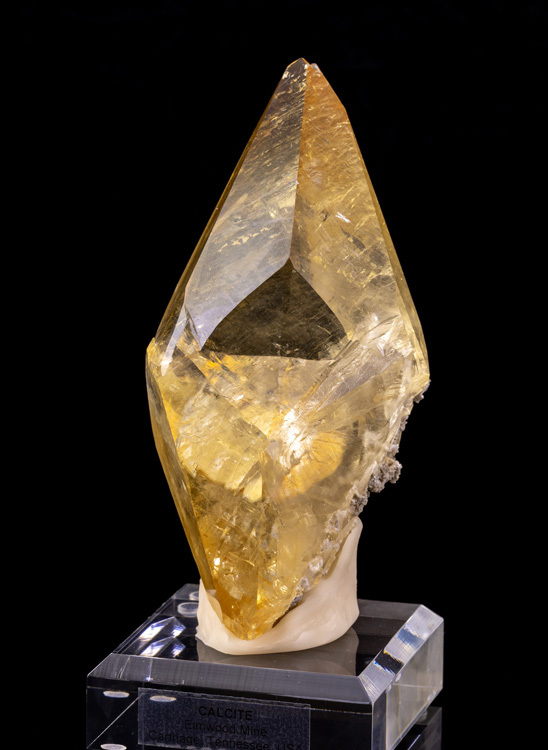 There is an unusual area on the right side of the crystal where it appears to have had an impact at some time in its life which caused a piece of the crystal to cleave off, however, upon closer inspection it appears that cleaved area has started to reheal itself as you can see new layers of crystal growth there, so this is not damage, but just part of the life story of the specimen.